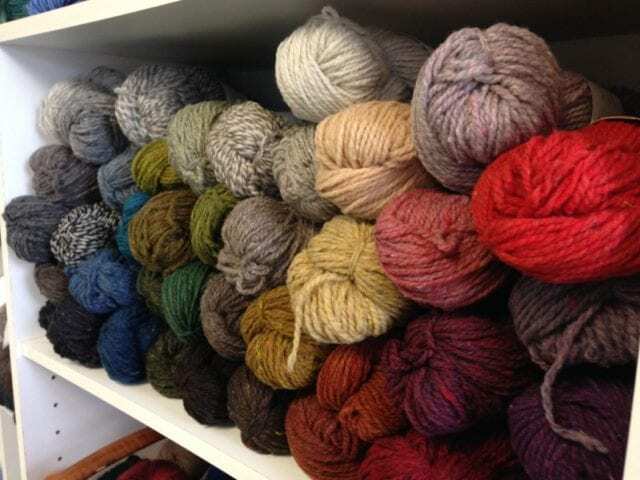 Brooklyn Tweed yarns are now available at the Hillsborough Yarn Shop! 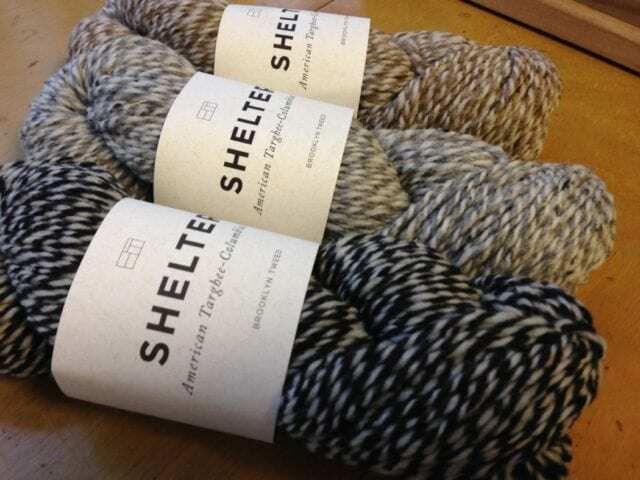 We’re starting with Shelter, Loft, and Arbor, and introducing each one on the blog this week. Today, meet Shelter. 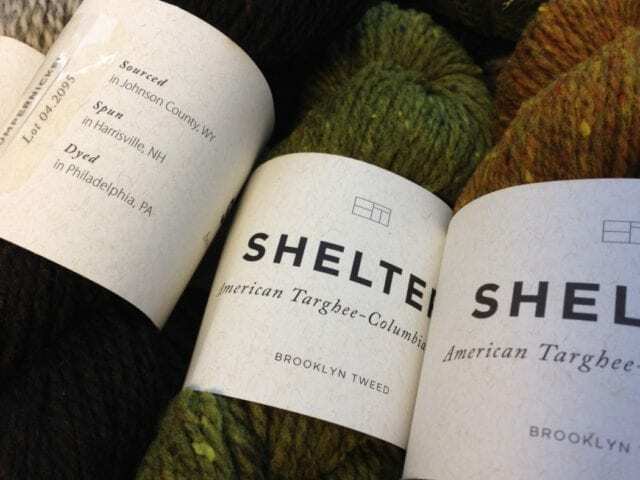 Brooklyn Tweed Shelter is a worsted weight, woolen-spun Targhee-Columbia wool, sourced, dyed, and spun entirely in the USA. Woolen-spun yarns are lofty and somewhat delicate, and because of the air trapped between their jumbled fibers, they are also especially warm for their weight. 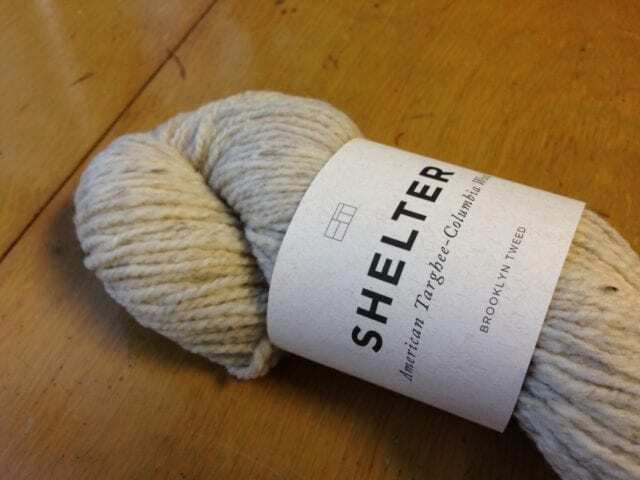 Clara Parkes has written at length about this, in her Knitter’s Book of Wool as well as in her glowing review of Shelter. 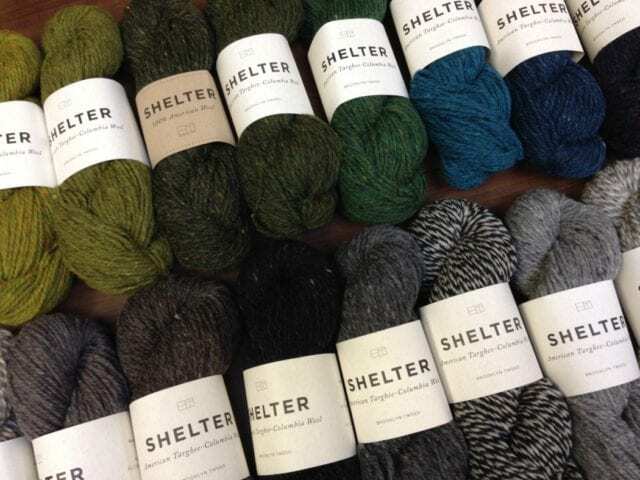 We have all 40 colors of Shelter in stock, an outstanding palette of 37 heathers and 3 marls. These shades are created by dyeing the fiber in 16 vibrant solids, then blending them, two or three at a time, into intricate heathers. In the marled colorways, each ply is a different shade. Shelter is amenable to a range of gauges, in part because it’s woolen-spun, and is happy to expand or contract based on the needle size used. Give your finished piece a soapy bath, and you’ll find that the yarn blooms into a cohesive, somewhat fuzzy fabric. All of these Brooklyn Tweed patterns (and so many more!) are available as Ravelry In-Store Pattern Sales, where you purchase the pattern here at the shop and a digital copy is saved in your email and/or Ravelry pattern library. We’ll print a copy for you, too, so you can head right home and cast on. Check out our Worsted weight Pinterest board for a few more pattern ideas! 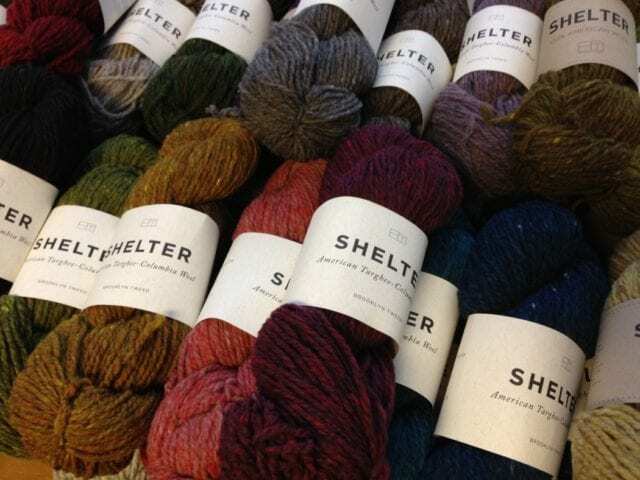 Look for Brooklyn Tweed Shelter in the worsted weight section here at the shop. See you there!